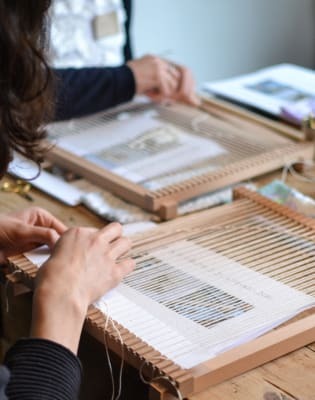 This workshop will provide you with everything you need to know to create a beautiful piece of woven wall art on a frame loom. You will learn how to warp up your loom and gain an understanding of different weaving techniques such as tabby weave, rya knotting, looping and pattern making. You will have a chance to experiment with a wide range of vintage, small batch and unusual yarns to create texture and colour. 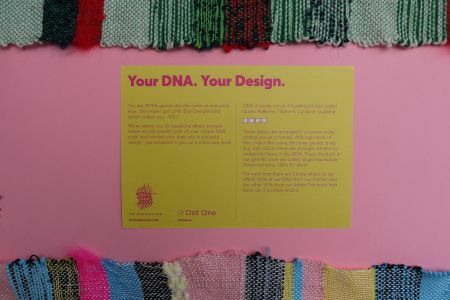 I will guide you through the design process, exploring different threads of inspiration, and helping you to translate elements and scenes from the natural world or elsewhere into woven form, using a range of techniques and materials to achieve different woven styles. 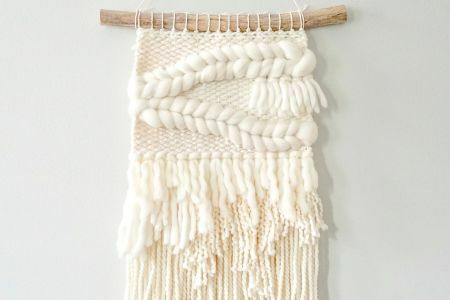 By the end of the session, you will not only have picked up the techniques and styles needed to create a wall hanging, but will also be on your way to finding your own unique weaving voice. 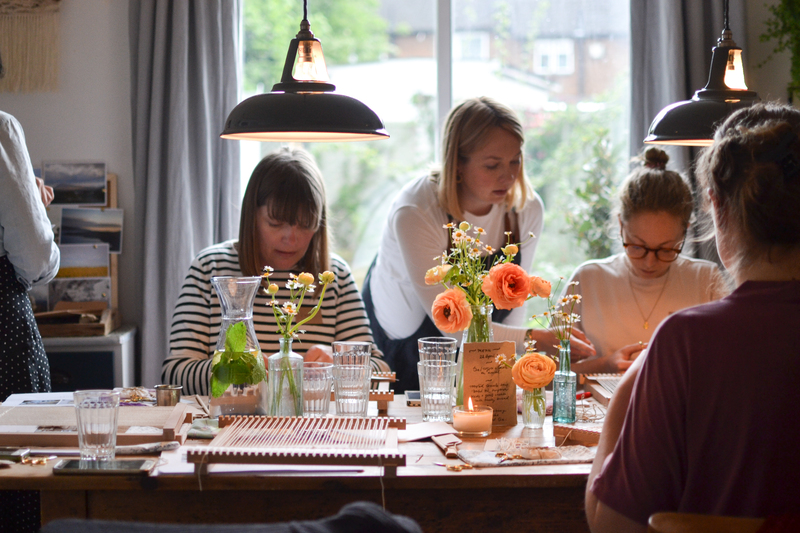 The class is designed for both beginner weavers. All materials and equipment will be provided. 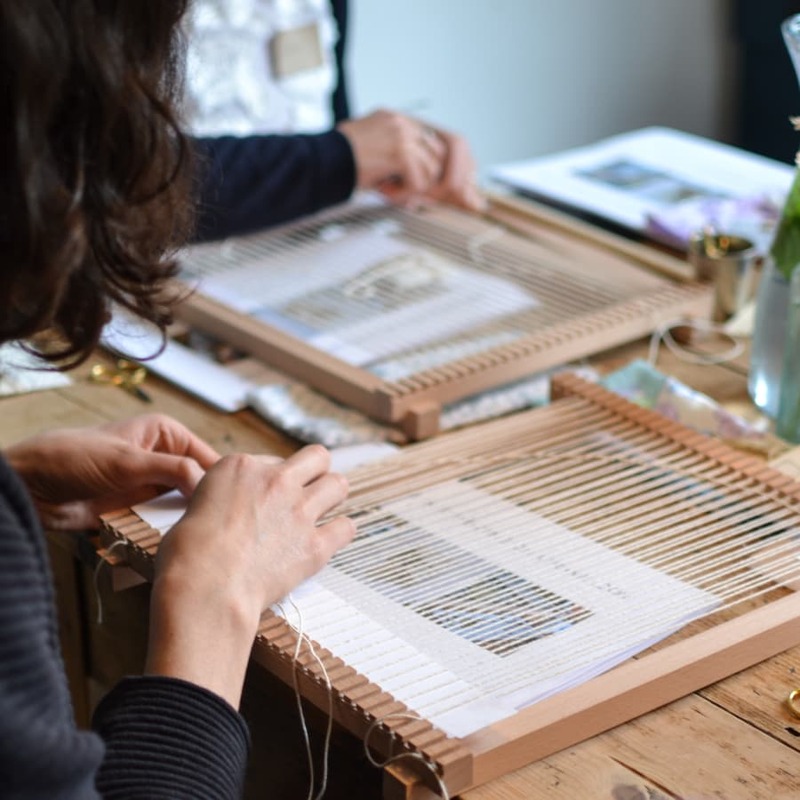 You will have the chance to purchase your own handmade loom, weaving tools and weaving guide to take home with you to continue your weaving journey after the workshop. mary was fantastic-so inspired now to go and get a loom at home so i can keep experimenting! The two hours with Mary was wonderfully relaxing and a great introduction to the basics of weaving. I loved it so much that I bought the loom so that I can carry on at home. Mary is a talented teacher and textile artist. I would definitely recommend to any beginners. Mary Maddocks is a textile artist based in South East London. 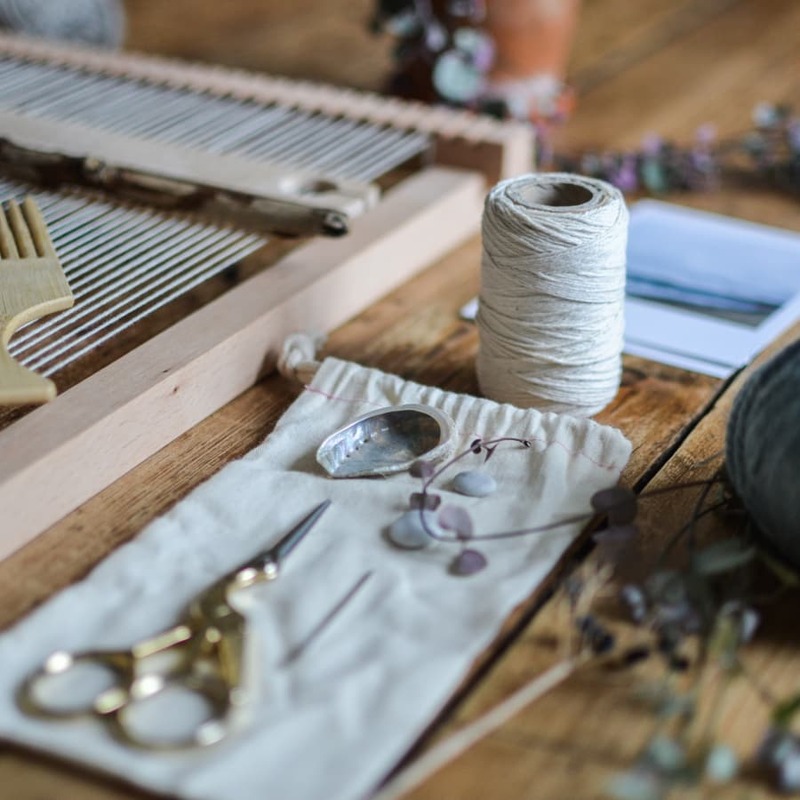 Her work combines a passion for woven crafts with a lifelong love of the natural world; she create wall hangings and woven jewellery inspired and informed by natural landscapes, colours and textures. She is particularly drawn to the landscapes of West Wales and the Scottish Highlands, places that hold a special magic for her and where she has spent many happy days. 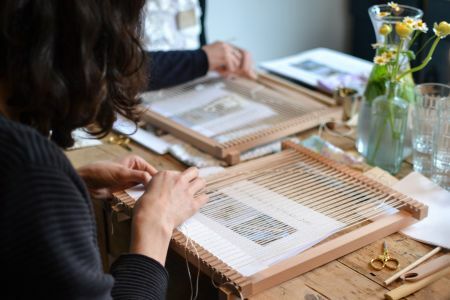 She hosts weaving workshops for others wanting to create their own woven wall art and absorb themselves in the gentle, meditative craft of weaving. She creates most of her woven art from her shed-studio at the bottom of her garden!